The 23-year-old had become "disillusioned with his work flipping burgers" so planned an "armed ambush." Working in fast food is an increasingly difficult (and often, discouraging) occupation. Over the past five years, efforts to raise wages, unionize employees, and fight back against on-the-job injuries have been cresting, as the workers’ rights movement (thankfully) swells. 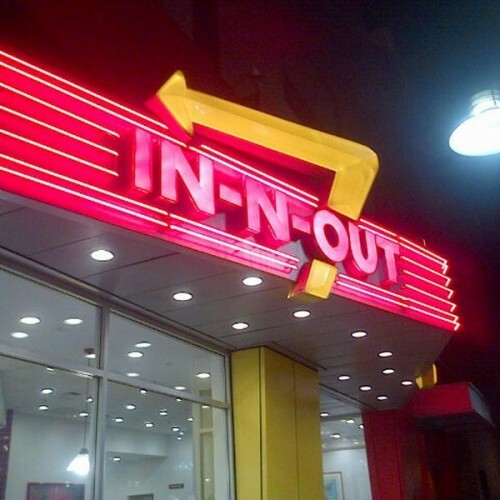 One fast food employee, though, decided to go a less-than-desirable route to vent his frustrations last week when he attempted to sabotage (and potentially murder) his boss at a Los Angeles In-N-Out. The 23-year-old male—a recent Berkley graduate—first disabled his employer’s car by pouring sugar in the gas tank, and then armed himself with two loaded handguns guns with the intention of killing his manager. The Glendale location employee was apparently spotted by some passersby, who noticed him fiddling with the gas tank as part of the sabotage process and called police to alert them of the suspicious behavior before anyone was injured. A roommate confirmed that the man believed that his employer was “reprimanding him unfairly” and that he was disgruntled with the job.